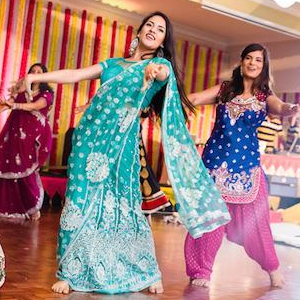 Once upon a time, sangeet was considered a ‘ladies only’ event similar to the western hen’s night. It was planned by the bride’s female relatives and friends at home or in a hall decorated by chennai wedding decorators to celebrate her bliss, tease her during her final days as a spinster and bless her future as a wedded woman. The humble sangeet was traditionally held for three to four hours and consisted of music and dance performances by professionals as well as family members. This past decade has seen this practice evolve from a simple party to an extravagant event that goes on all day and late into the night. According to weddings.co.in, almost all weddings are preceded by a sangeet night these days and it is not limited to just the bride’s relatives; people from the groom’s side have also joined in the merriment and perform to traditional and peppy songs from Indian cinema as well as English songs. If you are planning a wedding sangeeth, make sure it is a success by checking off these requirements. It is ideal if the sangeet is held a couple of days before the wedding to give your guests time to recuperate. Begin planning about a month or so before the event and make sure you have a venue and a budget in mind before you start planning. Find a venue that is large enough to accommodate a big dance floor but is still convenient for both the bride and groom’s side to access easily. Sangeets can sometimes be an costly affair so just like your wedding, careful budgeting is required. It is normal for the family of the bride to host the sangeet but the cost can be shared between the two families too. It is also recommended to find a place that serves its own dinner, drinks and aperitifs to make things easier to plan. It is also common nowadays for people from both the bride and groom’s sides participate. People who know how to dance or have experience in setting up a dance routine are usually put in charge of the performances. The people or person in-charge should co-ordinate and come up with program that splits the performances evenly between the bride and groom’s side so that no one is left out. Good dancers can also help choreography dance numbers but this is usually left to professionals these days. 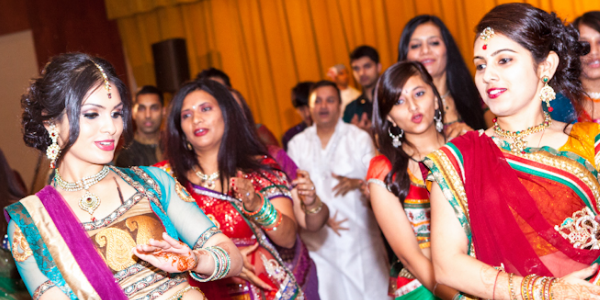 A week or so before the sangeet takes place, ask your family what song they’d like to hear played on the dance floor. This gives everyone an opportunity to dance, even if they are not in the performances. It is also important to make sure the music system at the venue is in working order and if you are hiring a DJ, that he/she is booked well in advance. Make sure you have a backup of the songs on several devices so that if something does go wrong, you can simply switch to the next one. 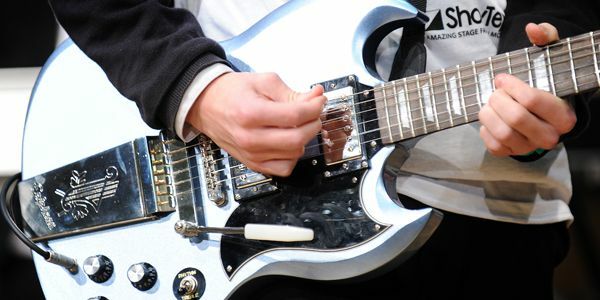 Make sure the songs suit the occasion and are child-friendly and have a blast.